In a bowl , mix all the ingredients by sprinkling very little water (sufficient to make the flours stick to the cashews). Mix them well until they have a crumble texture. Heat oil in a pan, using your hands drop these cashews in oil. Deep fry them in medium flame until they turn golden brown. Drain them in kitchen towel to remove the excess oil. Serve them cold, because cashews will not be crispy when hot. Note : Make sure that you fry these cashews in medium flame, or else they tend to burn off . Multi-flour cashew pakoda looks very crispy and delicious. yum yum yummmmmmmmmmmy and crispy cashew pakoda to have with tea. Nice one, will make a good starter. they look so crispy and perfect.. good one ! 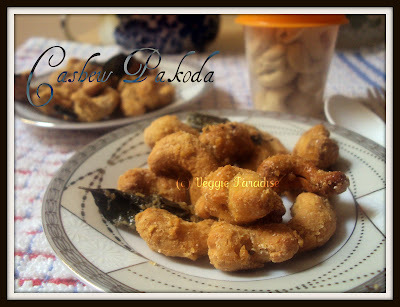 Irresistible and great looking pakodas, feel like grabbing some..
crispy,good snack for tea time. Wow Looks soooooooooooooooooo delicious.. sure this is great appetizer for any occasion especially for special occasions.. I m loving it !! Aruna..Looks lovely dear.never even heard of cashew pakodas..Looks crisp and cruny..
Yum..my mom makes this with besan flour.Your recipe sounds unique!! Such a sinful treat.. wow!! that looks very yummy and rich. wow. cool one. will surely try. i am drooling... CRUNCH!! 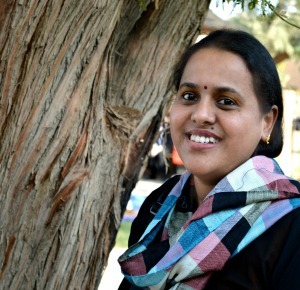 Aruna, very lovely and new recipe dear, I am sure it will be a hit with kids. 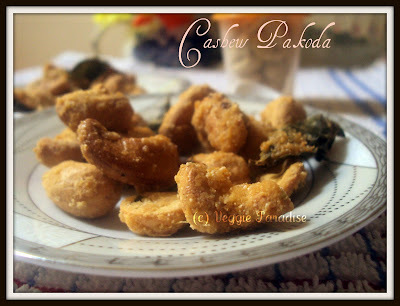 Nvr heard of cashew pakoras before ... they look so crispy n yummy !!! 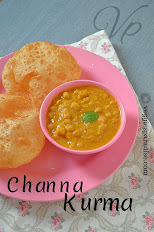 First time on your site...Havent seen much but liked what I saw...Lovely pakoras...aana konjam heavy on the waistline!! !